Surprise anime hit One–Punch Man’s protagonist, Saitama, doesn’t look like your ordinary action hero. Not only does he share a name with what’s often considered to be Japan’s りんleast cool prefecture, Saitama is bald as a cue ball, despite still being a young man of 25. On the plus side, though, he’s a tremendously powerful superhero who can take down any foe with a single strike (hence the series title). 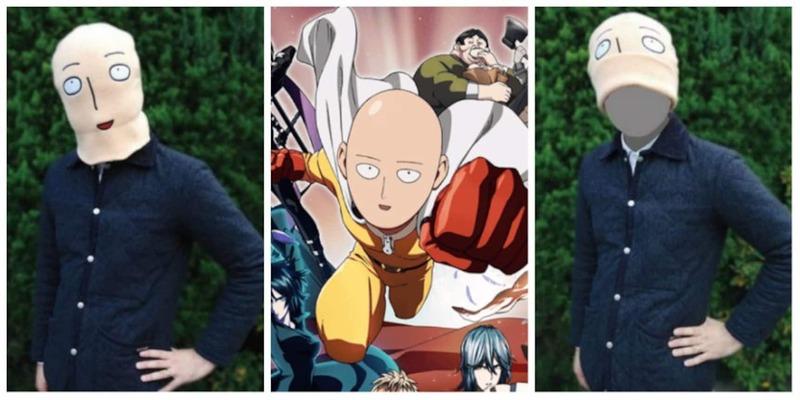 And with Saitama now being a hero to anime enthusiasts around the globe, anime merchandiser Ensky Hobby has a way to help One Punch Man’s legions of fans feel a little closer to him—with the Saitama knit cap. Pull this beanie down low and you’ll become the spitting image of the character—at least during his calmer moments when his facial muscles are relaxed. However, the manufacturer reminds potential buyers to make sure they’re still getting enough oxygen, as there’s no breathing hole where Saitama’s mouth is on the cap. The One-Punch Man beanie is priced at ¥3,500. Ensky is planning to start taking pre-orders soon, with delivery scheduled for February 2016.